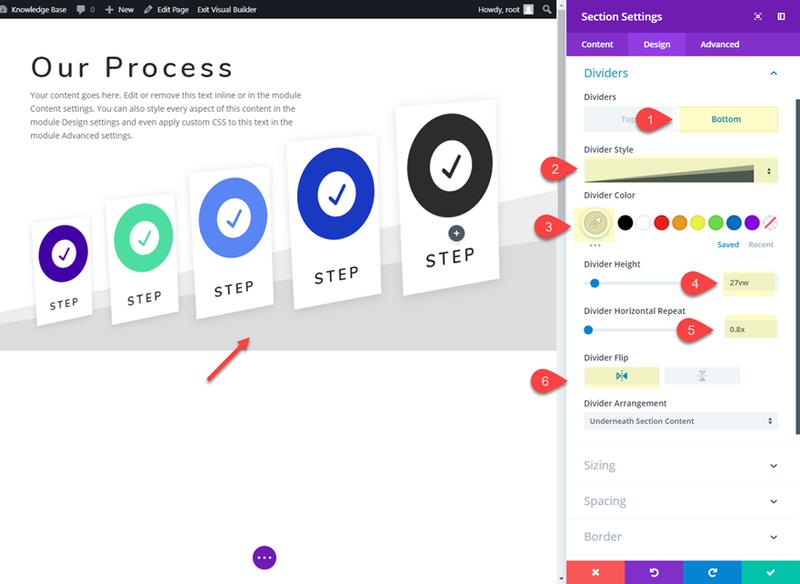 Divi’s Transform controls make it really easy to position and style the elements of your page to create unique layouts. 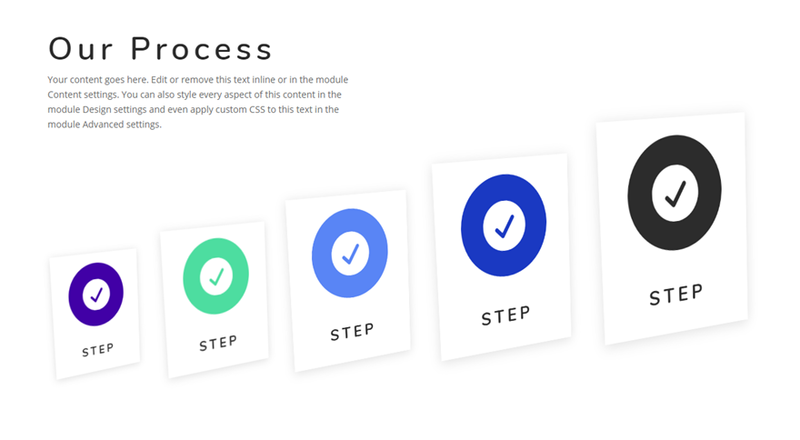 Divi’s blurb module is one of the most common elements for featuring items on a website. So, I thought I would show how to put those Transform effects to use by creating a couple of unique layouts featuring the blurb module. Sure, you can accomplish similar positioning using margins and padding, but the process would be much more involved and not near as much fun. 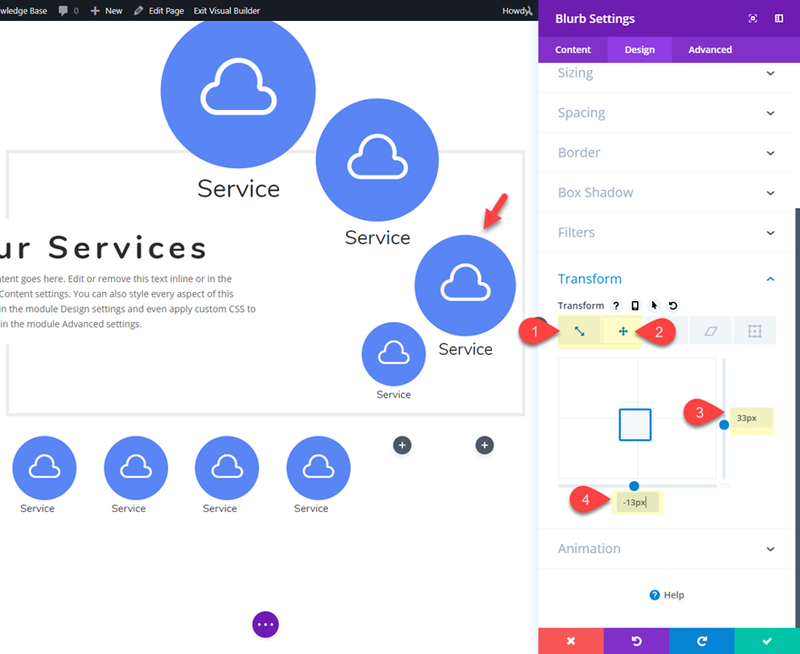 Plus, the transform controls allow you to add additional styling to scale and rotate your blurbs for even more unique designs. 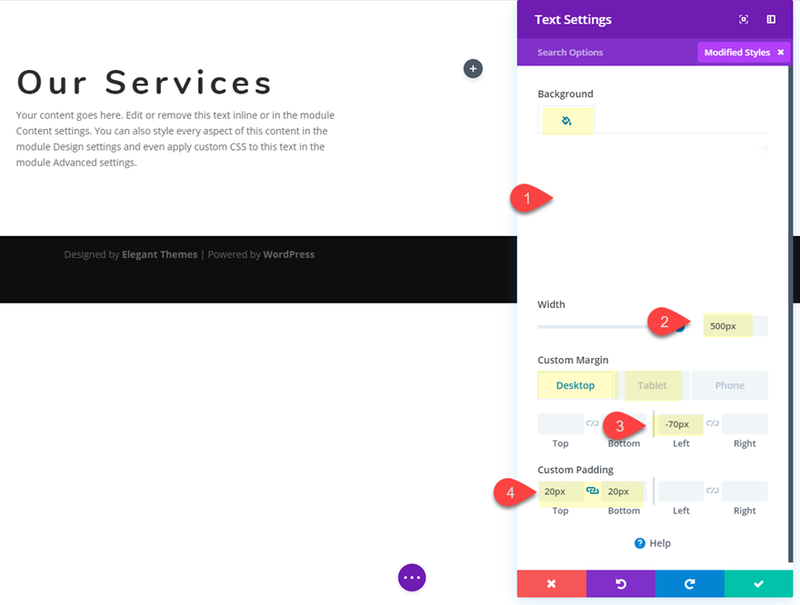 In this tutorial, I’m going to show you how to position and rotate blurbs in creative ways using Divi’s transform controls. 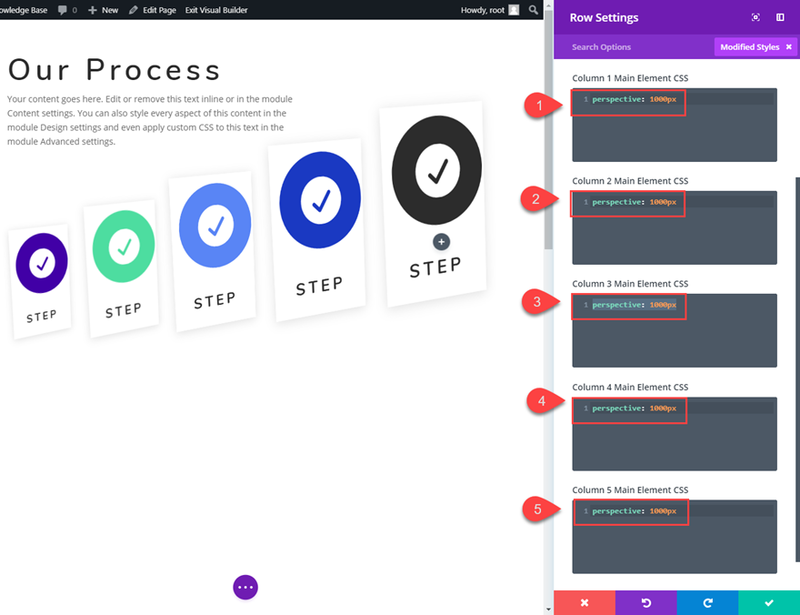 For this tutorial, all you really need is Divi. To set things up, go ahead and create a new page. 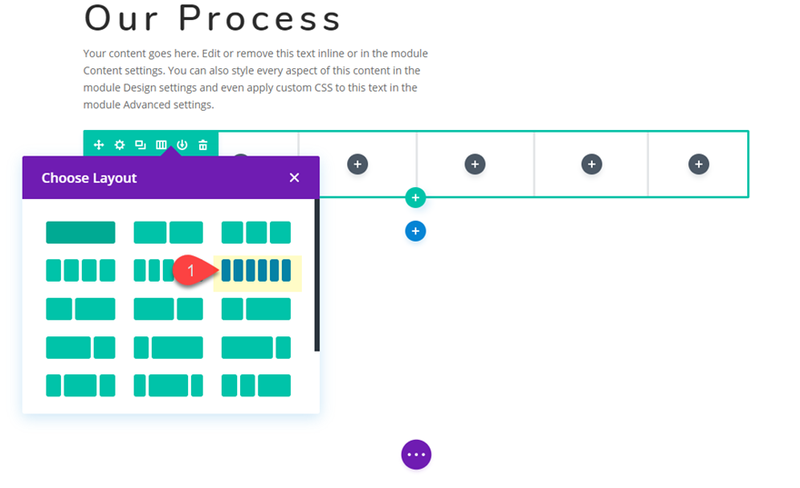 Give your page a title and deploy the Divi builder on the front end to build a page from scratch. In this first layout design, we are going to structure our blurbs using two different rows. 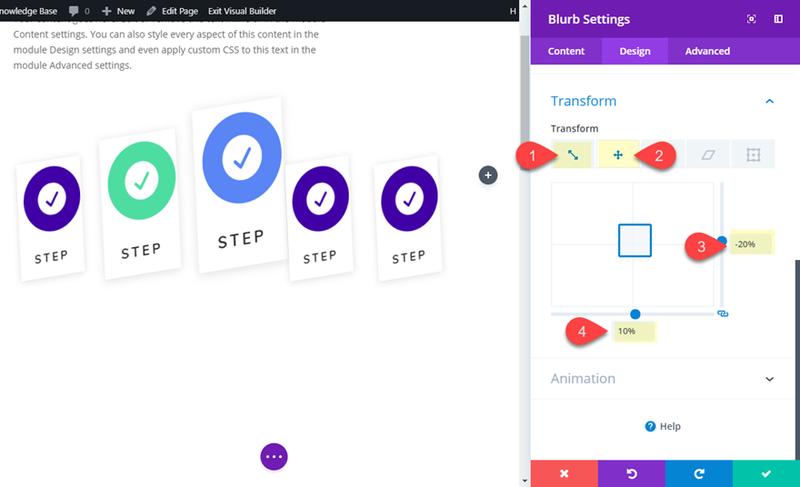 Then we are going to use the Divi Transform options to scale and position the blurb modules to create a unique blurb module layout. Next add another row under the row you just customized. Give it a six-column layout. 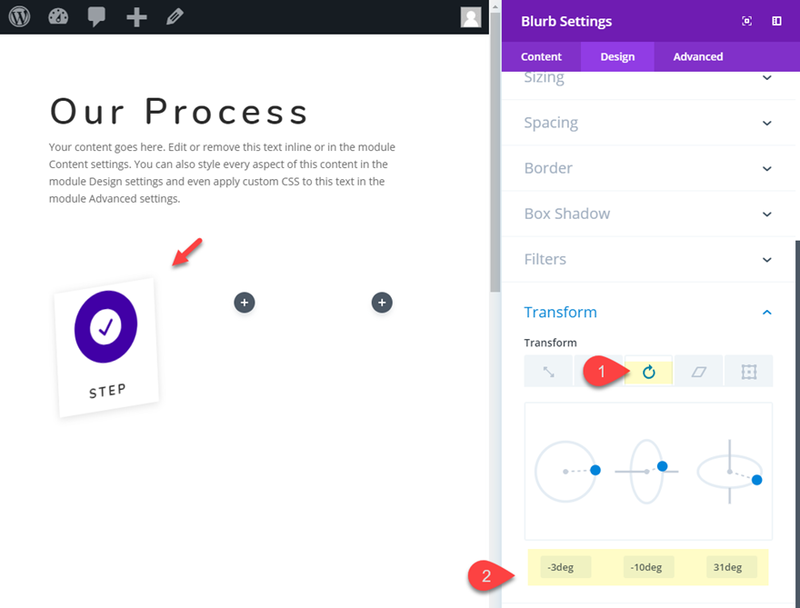 Now it’s time to start creating the blurb modules that we will eventually position using the transform controls. 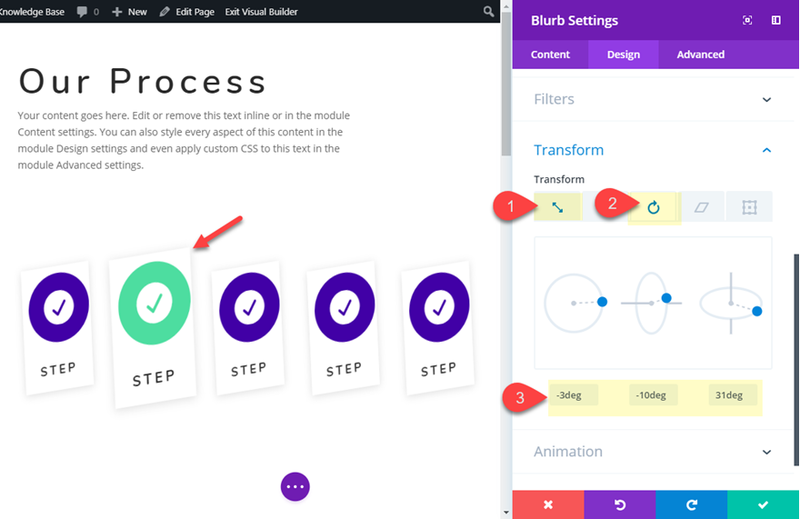 Add a blurb module column 2 of the first (top) row you created. 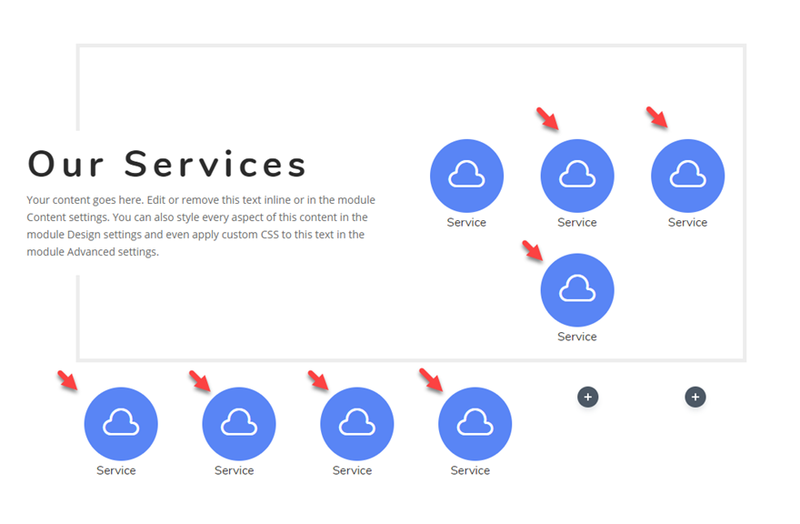 In the blurb settings, delete the content and update the Title text with the word “Services”. Then click to use an icon instead of an image. 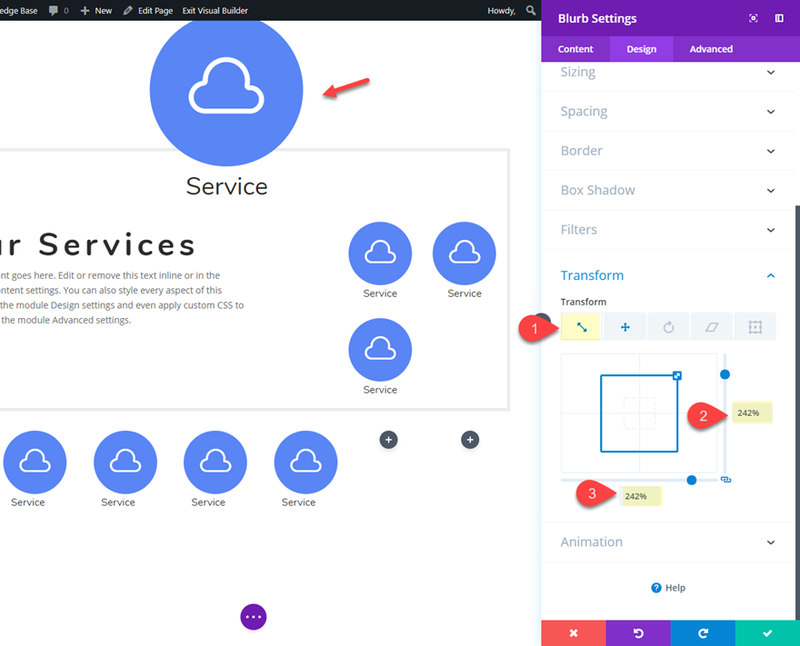 For this example, I’m using the cloud icon. 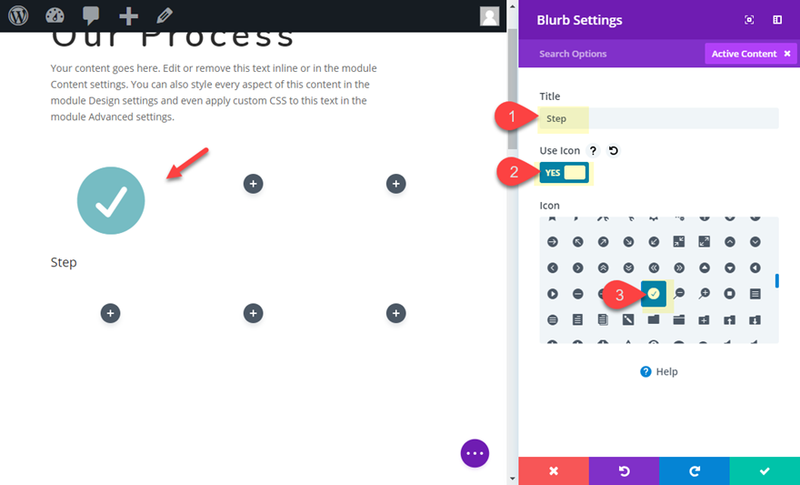 Next, copy the blurb module you just created and paste it into each of the columns making sure you have two blurb module in column 3 of the top row and you leave columns 5 and 6 empty in the second row. 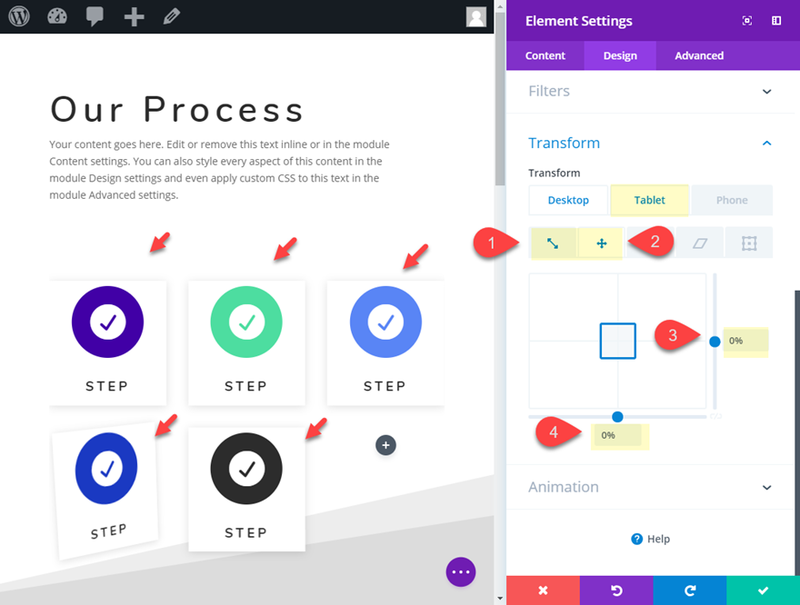 Now we are ready to use the transform controls to position and scale the blurbs into a unique design. 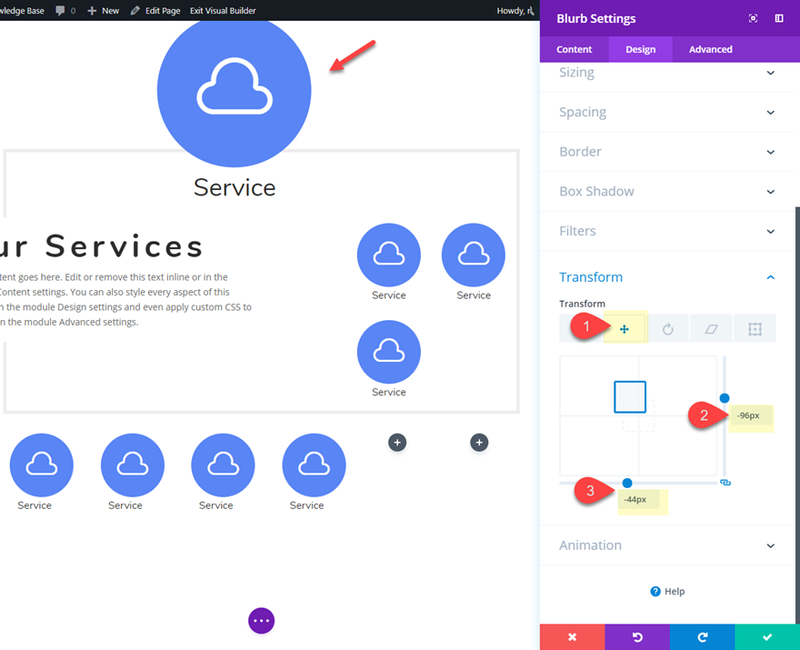 For an additional design element, you can gradually increase the opacity of the circle color on each of the icons used throughout the layout. 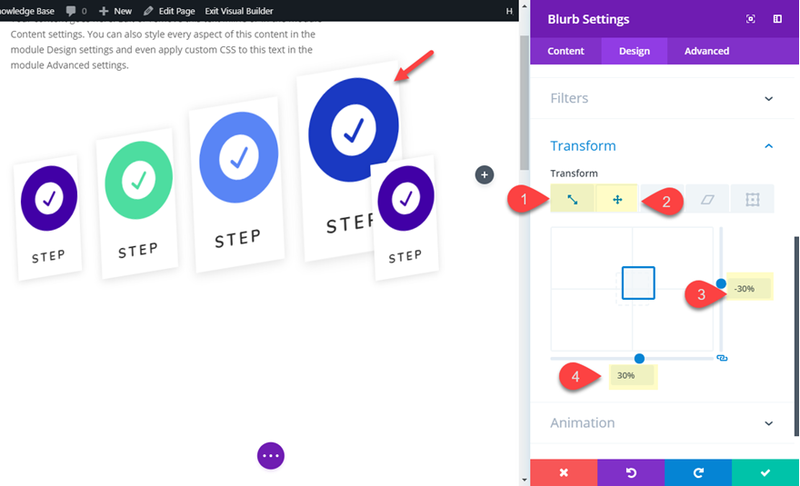 To adjust the blurb module layout for tablet and phone displays, we can simply set the transformation effects back to the original state so that the blurbs return to their original size and will be positioned inside the columns nicely. 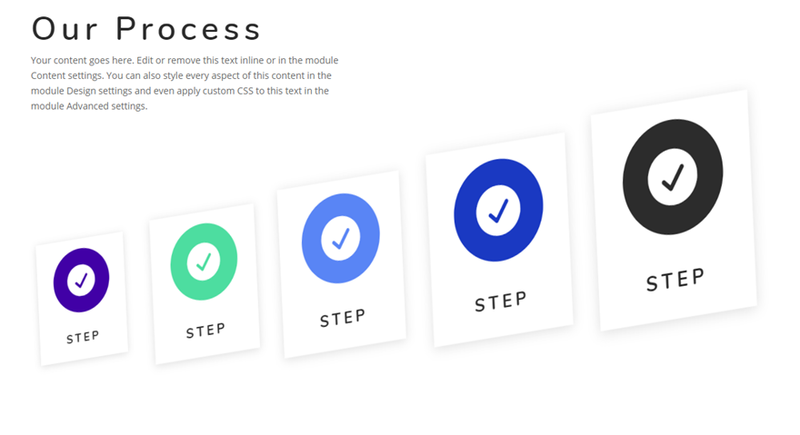 To do this we can use Divi’s multi-select feature. 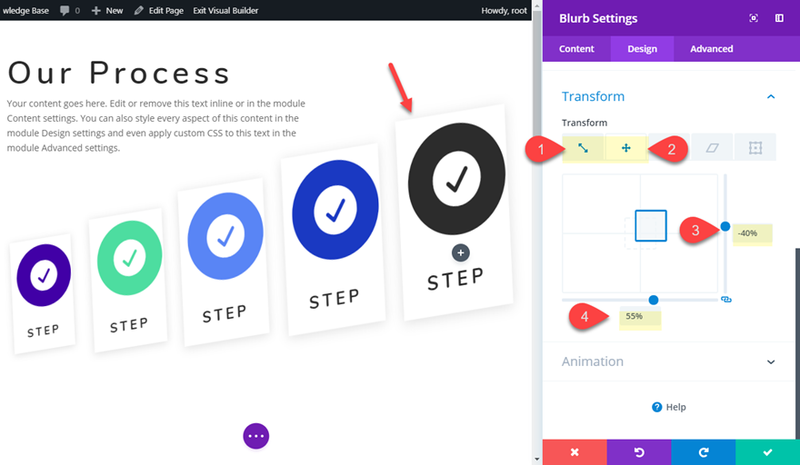 Since it may be difficult to click on the modules that have been positioned with the transform property, it is a good time to enable the grid mode in your builder settings. 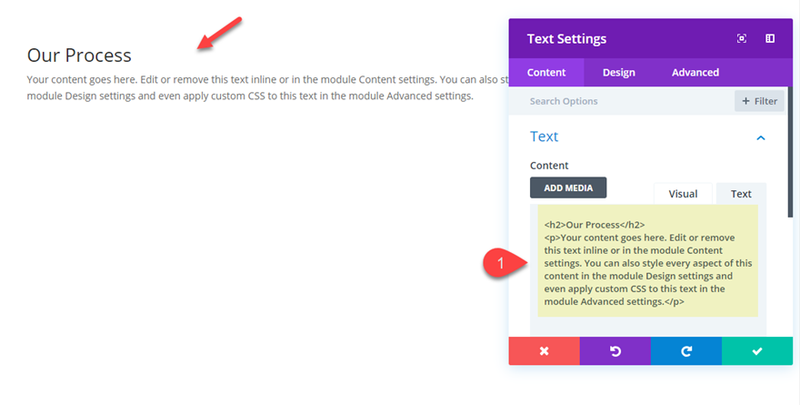 This will allow you to see the blurb modules in their original position. Once you are in grid mode, go ahead and hold down ctrl or cmd and then click on each of the modules that have a transformation effect. 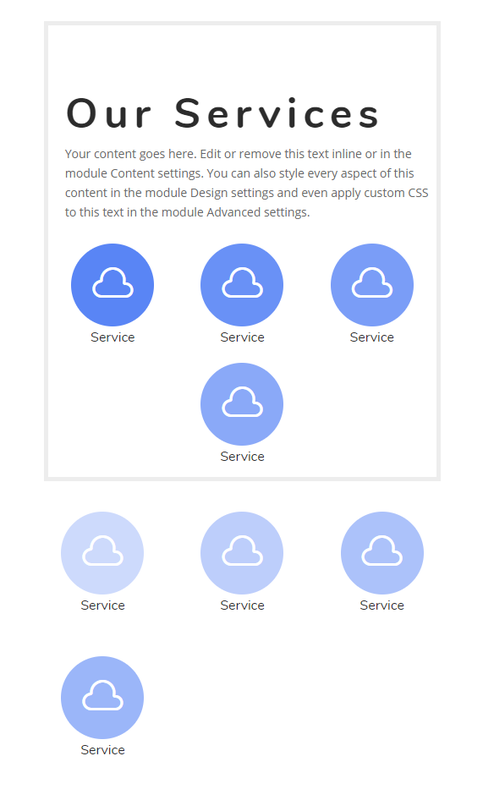 Then click the gear icon of any of the modules selected to open the element settings modal. This will restore the original position and scale of the blurbs on tablet and phone displays. 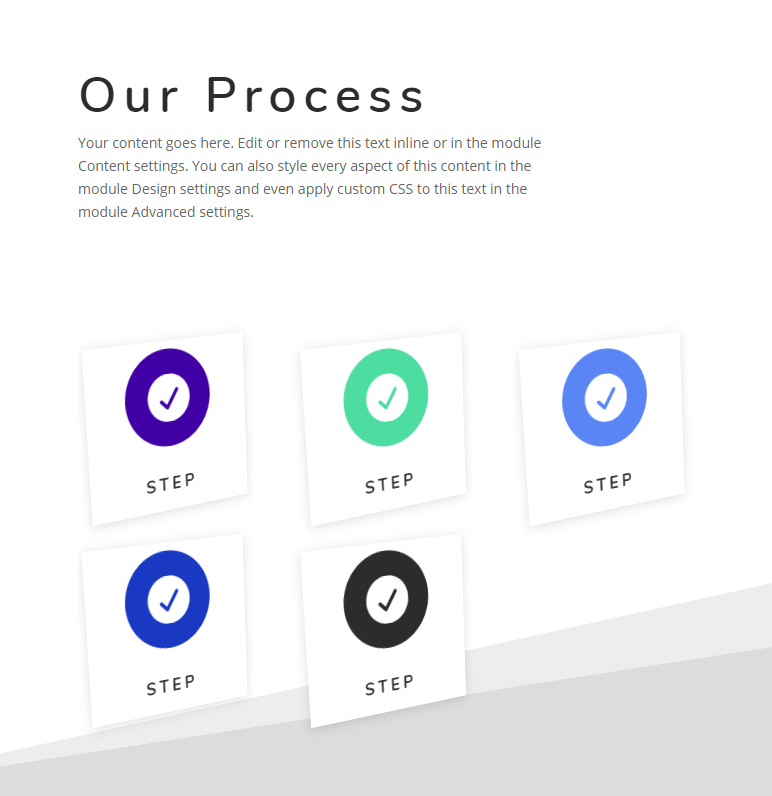 In this next example, I’m going to show you a unique blurb module layout using Divi’s scale, translate and rotate transform options. 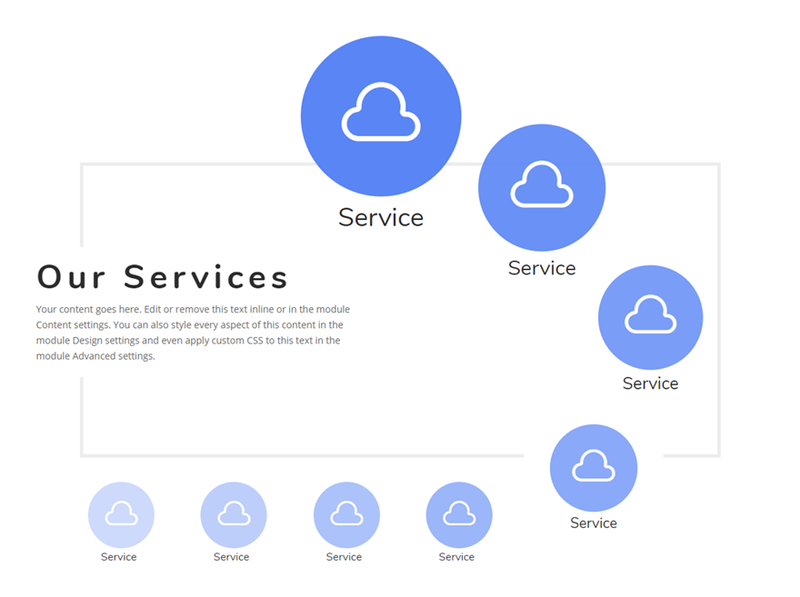 I’ll also throw in a bonus CSS snippet that adds perspective to each of the blurbs. Here’s how to do it. That takes care of the heading. 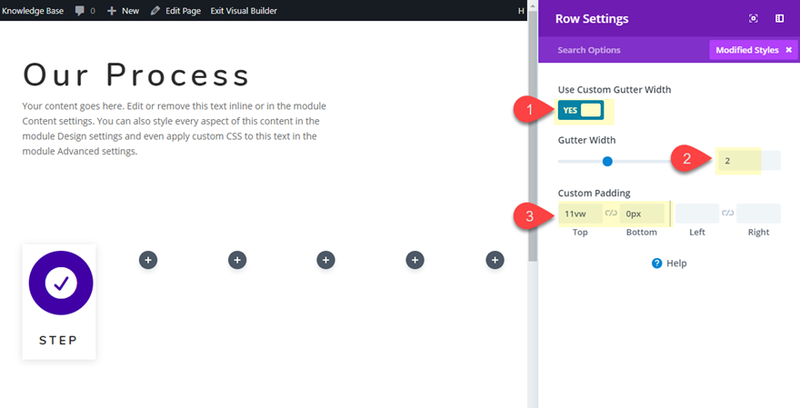 Now it’s time to add the row for our blurb module layout. 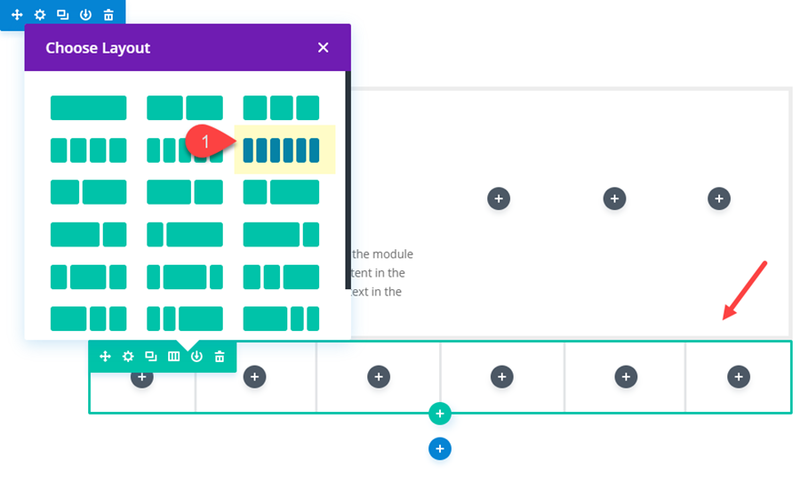 Go ahead and create a new row with a six-column layout directly under the current row. 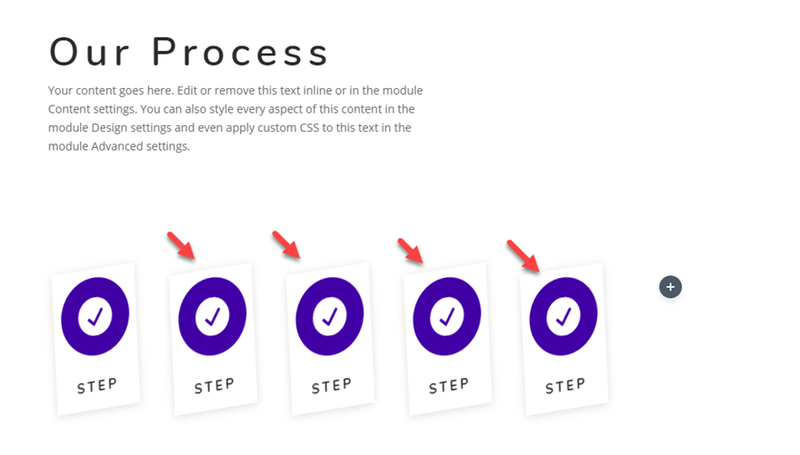 Delete the body text in the content box and update the title text with the word “Step”. 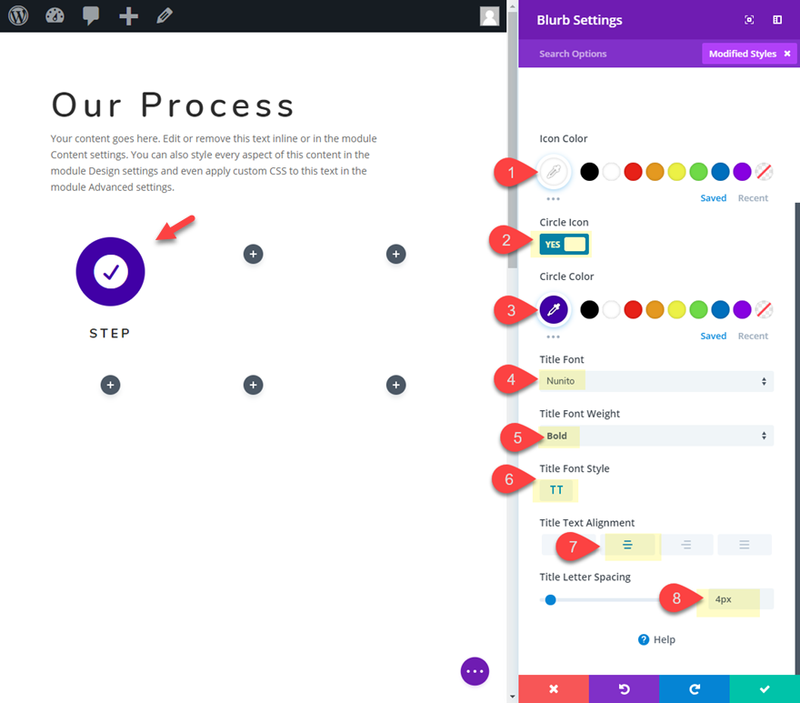 Then Click to use an icon and choose the circle check icon. That takes care of our first blurb module. 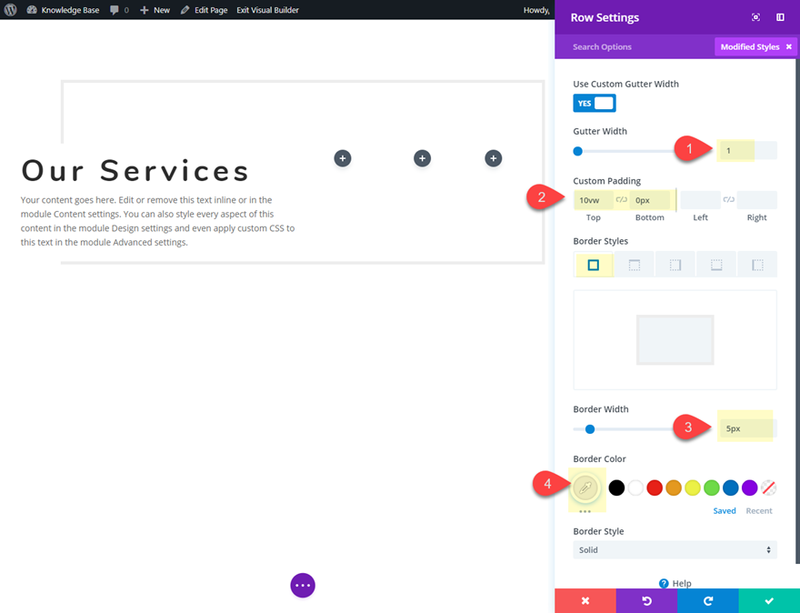 This will help use with spacing the blurbs in the layout. Now we are ready to duplicate and customize the rest of the blurbs. Go ahead and copy the blurb module in column 1 and paste it into all of the remaining columns except the last column (column 6). We will leave column 6 empty to leave more space for the blurbs to be moved to the right. As you can see, each of the blurbs will increase size by 20% from left to right. And the Transform translate percentage values make sure blurbs stay lined up nicely. Since the design overflows into the last column (column 6) we will leave it blank. But you can always add another blurb in column 6 if you increase the size of the row. In CSS, the perspective property is used to give a 3D-positioned element some perspective in Z-Space. Basically it defines how far the object appears away from the user as they look at the screen. The perspective property must be applied to the parent container of that which has the 3D-position which in this case is our blurb module. Therefore, we must add the perspective to each of the columns using a small snippet of CSS as follows. In this case, the change is very subtle but worth the additional effort in my opinion. 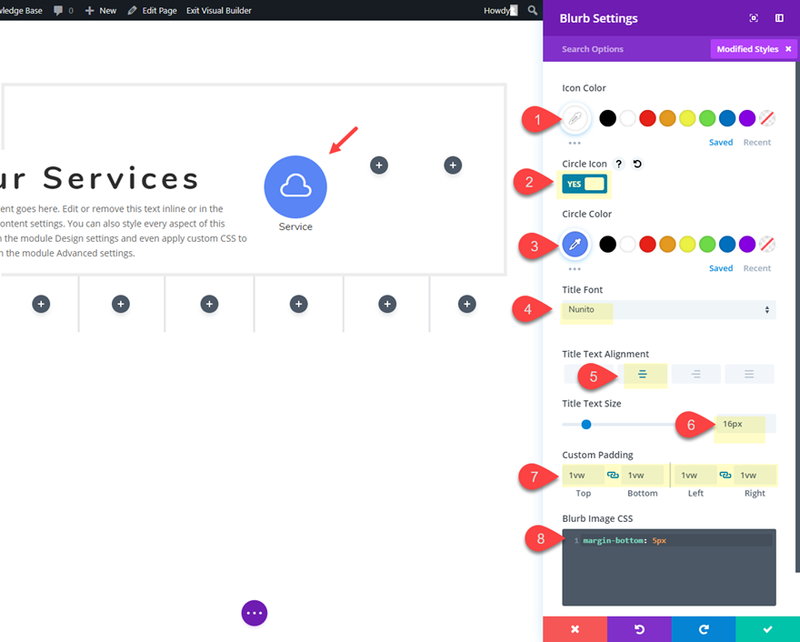 Here is the blurb module layout design without perspective. And here it is with the perspective in place. If you want to make the blurbs appear closer to the user, you can decrease the perspective value. For example, this is what the blurbs will look like with “perspective: 400px” added to each column. 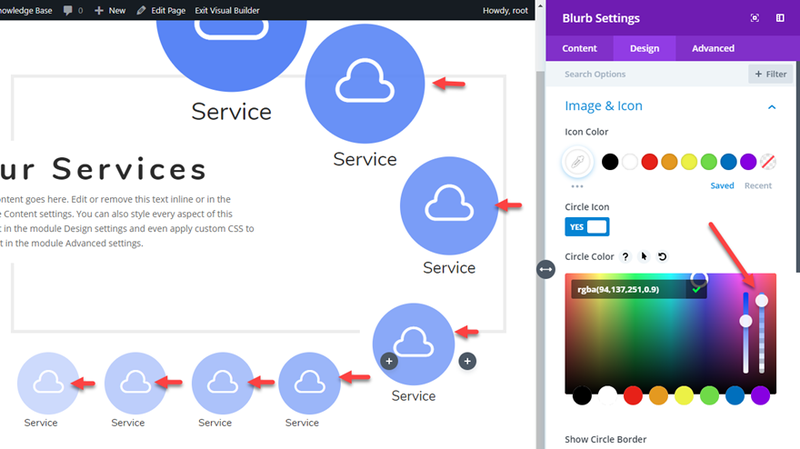 Now let’s check out the final result of the blurb module layout. 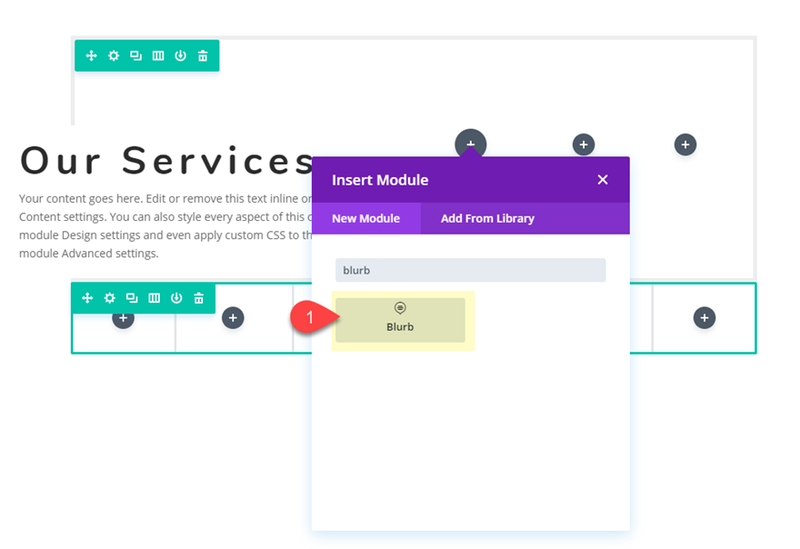 With Divi’s transform controls, you have the ability to place your blurb modules in precise areas of your page with great ease. 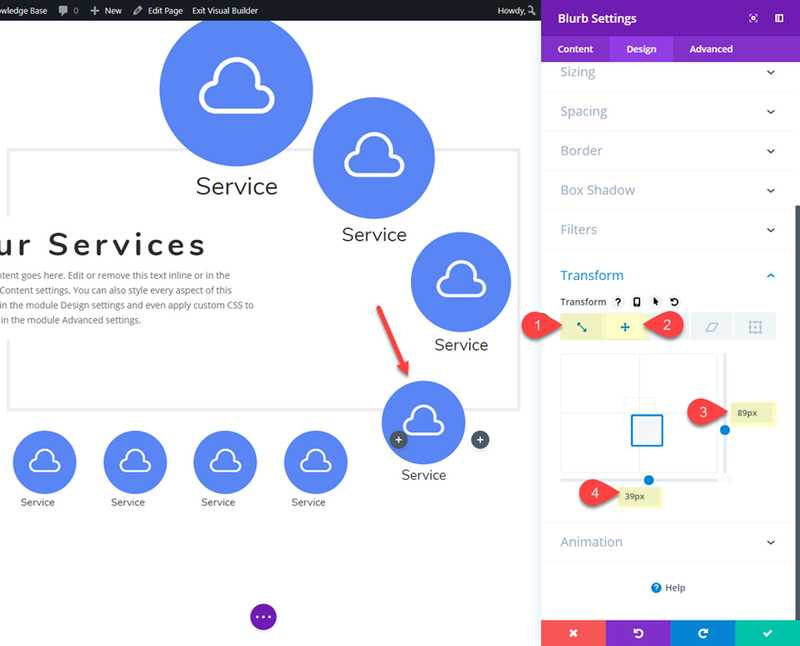 This makes it fun to experiment and create new blurb module layouts for featuring services, process steps, and countless other uses. 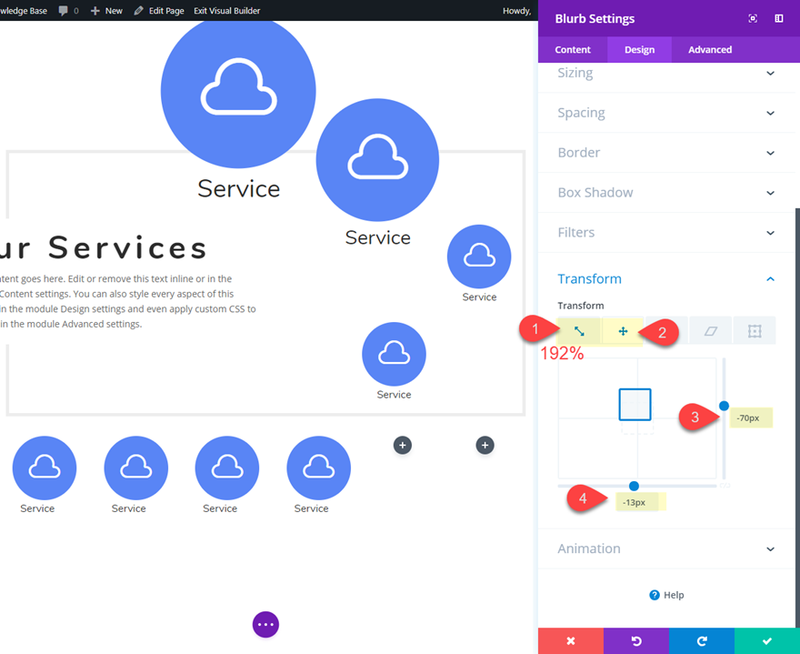 I hope this tutorial gives you a little inspiration for testing out these design techniques yourself. 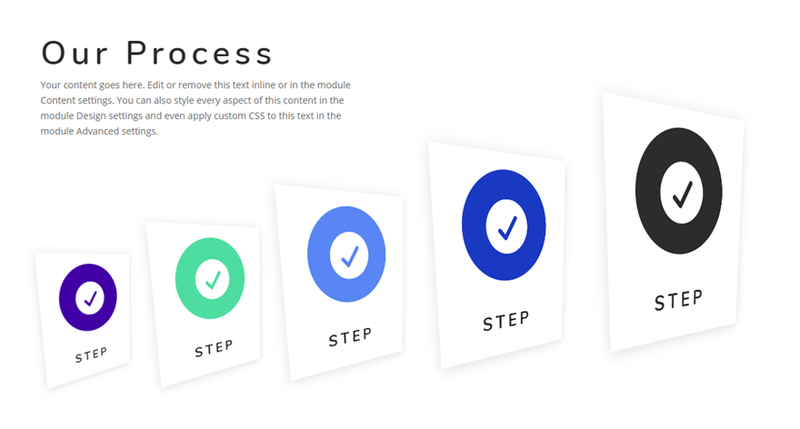 For more inspiration, check out these 5 creative blurb module designs. 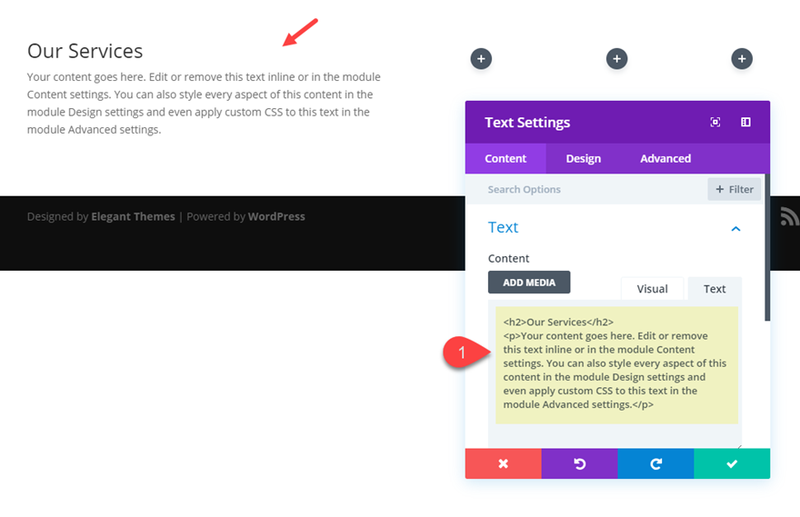 The post Using Divi’s Transform Controls to Create Unique Blurb Module Layouts appeared first on Elegant Themes Blog.